Last Saturday I had the opportunity to visit the Pastorale. It’s a two-star restaurant in Reet, a small village not far from Antwerp. 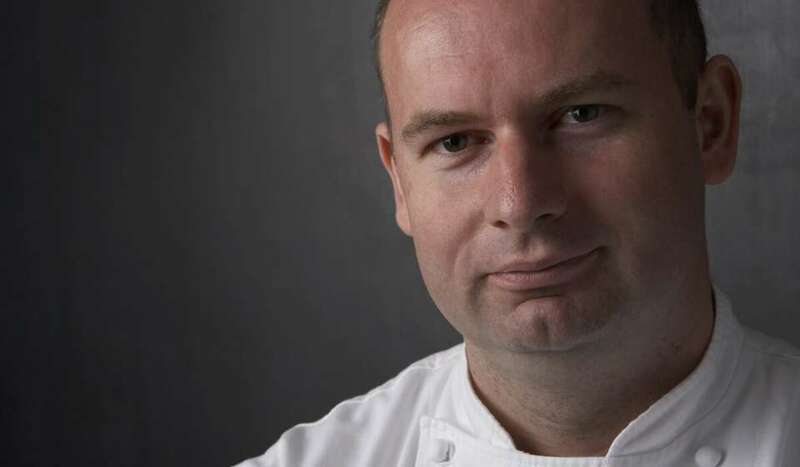 The chef is Bart De Pooter, who was nominated as “Chef of the year 2012” by GaultMillau. 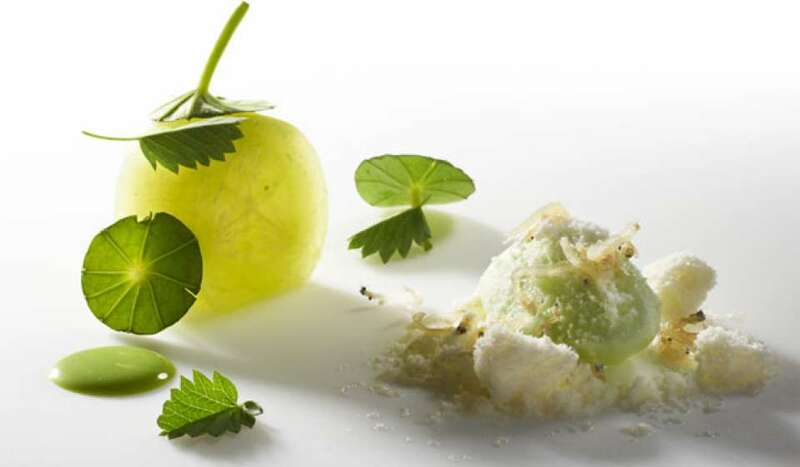 GaultMillau also gave the restaurant a splendid score of 18/20. There are just 15 two-star restaurants in the whole country. So it’s pretty clear that this restaurant belongs to the culinary heaven of my small country. Thanks to Resto.be I could go to this crazy restaurant. Almost a year ago I won a culinary photography contest. The prize was a gift voucher for a restaurant you were free to choose. I had three choices: La Paix in Anderlecht, Hertog Jan in Bruges and Pastorale in Reet. It became the Pastorale. It took some time till I had my voucher, but thanks to Jan Van Zeveren from Resto.be – who delivered the voucher personally – I finally received it. Last Saturday was D-Day. It was just the second time I went to a star restaurant and of course the first time I entered a two-star one. Both my girlfriend and I were a bit nervous. We arrived too early, but because of the cold we decided to ring the bell of the impressive building. A big wooden construction stands central in the room. It’s made by Arne Quinze, a Belgian artist. Wooden slats are horizontally nailed to the wall and covered with a crisscross of numbers. The installation should refer to a city. For more information about this installation, I friendly refer to the website of the Pastorale. Let’s now talk about the food. We ordered the menu “Desire” and started with a glass of Champagne. They first brought us two petit fours as fingerfood. The first one was a minicake with red beet. The second one was a shrimp cracker with North Sea crab. These flavor bombs were followed by three different appetizers. However they were small and cute, they were so delicious. According to me, the appetizers (and the dessert) were the best things. It’s impressive how Bart and his team can put so many flavors in such little dishes. Sometimes they weren’t bigger than a tablespoon, but they explode in your mouth. The kaffir lemon ice cream, the tenderloin and the cookie of mussels will have a place in my culinary memory. After all this pleasures we got four dishes. The first one was the “North Sea on our plate”: oyster, mussels, razor scallops and “sea vegetables” like samphire and seaweed. All these secrets of the sea were seasoned with Buddha’s hand, also called fingered citron. This dish was followed by fried and marinated pike-perch with leek and clove. The third dish was sole with Jerusalem artichokes, purslane, chestnut and cabbage. It was again a very good dish. All these pleasures were followed by a mind-blowing dessert. That dish contained of apple, cranberry and chocolate of Marcolini. It looked like a piece of art and it tasted…well…it tasted impressive. After all these dishes we got a second-last dish with pear. Everything ended with a last surprise. 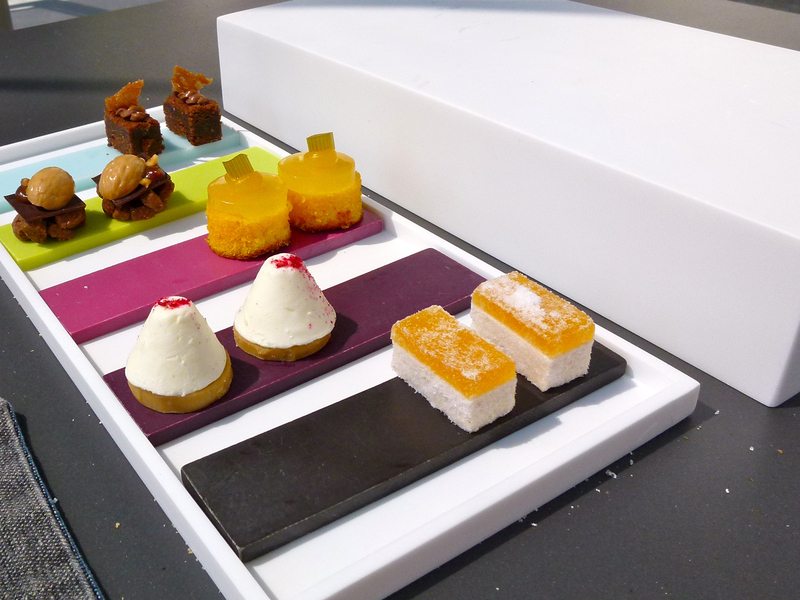 They brought us a white box with two different petit fours on top. 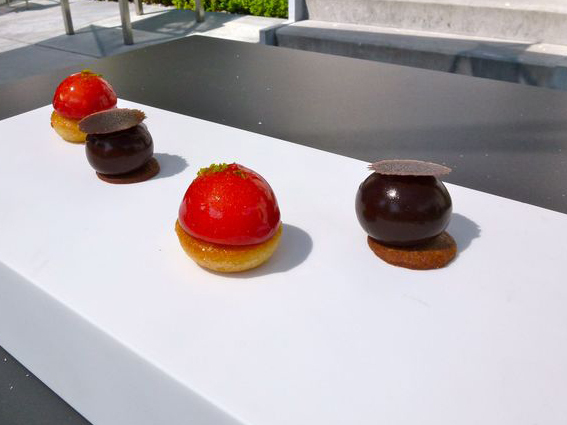 When they brought our coffees, it appeared that there were six other petit fours hidden in the box. Just like the appetizers we started with, they were little cute taste explosions. It was a splendid end of the evening. This evening opened my eyes, got me with my feet on the ground and introduced me to a whole new level of cooking. 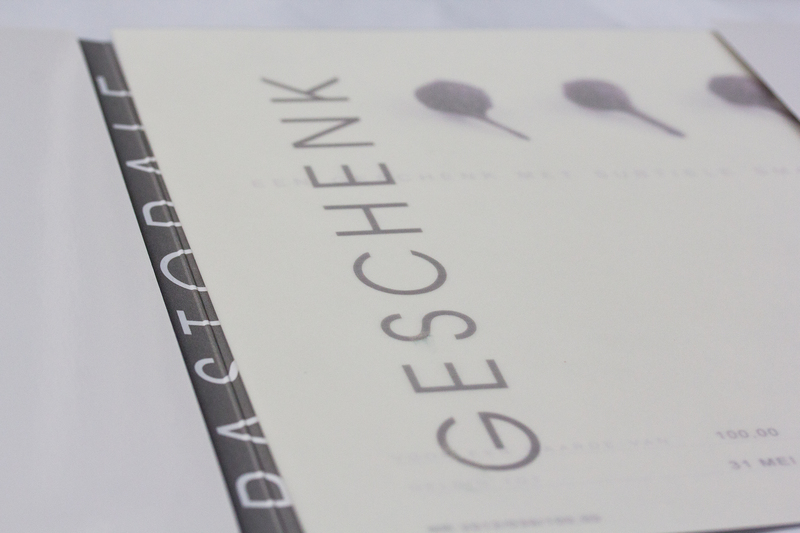 Thanks Resto.be and Jan Van Zeveren, thanks Pastorale and its team. And Bart, you really blew me away.